As profiled on Radiolab a couple months ago, Charlotte resident Barbara Harris founded the non-profit Project Prevention, which pays women with drug addiction to either get IUDs, or to get sterilized. So far they have paid over 4,348 women to do just that. While her aims and means are, naturally, hotly contested, her own story makes a pretty good case for her efforts. It all began for Barbara Harris with an 8-month-old baby she named Destiny. The child, born to a mother addicted to drugs, had been removed from her troubled home by the state of California. She was the fifth child who’d been born to that mother and subsequently taken away. 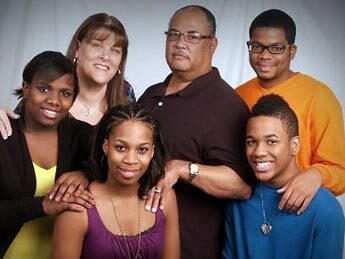 The Harrises took Destiny in, adopted her, and helped her through withdrawal symptoms. A year later they did the same for a boy they called Isiah — the sixth child born to that same mother. “The next year we received a phone call that she had had her seventh baby, a baby girl. Did we want her? My husband said, ‘Barbara, I’m not buying a school bus,’” Harris remembers. They took the little girl, Taylor, and then one more son, Brandon. “It was important to me that they grow up together,” Harris said. It was then that their new family took on a mission. “Everybody was complaining about the fact that these women are having too many babies, but nobody was doing anything to stop them,” Harris said.